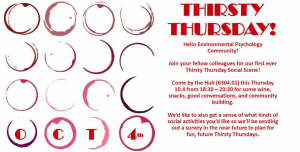 Environmental Psychology at The Graduate Center » First Thirsty Thursday Event! 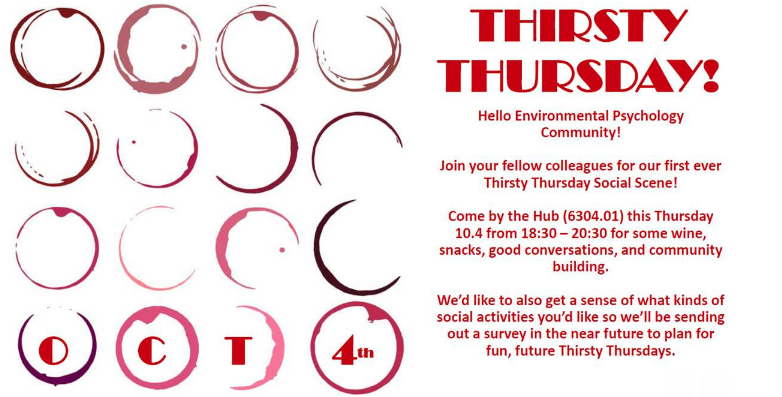 Please stop by “The Hub” for our first ever THIRSTY THURSDAY event! Come hangout with folks from the Environmental Psychology family and enjoy a night of wine and cheese! Please see here for details: THIRSTY THURSDAY!